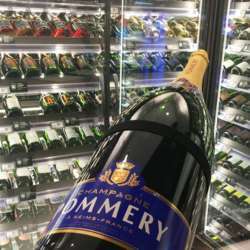 At 17:00 we'll witness the opening of a Balthasar size (12l) bottle of Pommery Champagne and enjoy a glass fresh from the bottle. Right next door is InterNations favorite Protected content , where a small, three-course gourmet dinner will be waiting for us. Looking forward to seeing you at this InterNations exclusive activity !